The area of the ring road around Male’ City near the Sina-Male’ Bridge will be opened on September 6, says Minister of Housing and Infrastructure, Dr. Mohamed Muizzu. The ring road was previously scheduled to be opened last Monday, but the opening was postponed in order to complete road marking, installation of light fixtures, and connections to adjacent roads. Dr. Muizzu announced in a tweet this Tuesday morning that all such work will be completed and the ring road opened on Thursday, September 6. The minister stated earlier that the ring road will have four lanes with trees planted on both sides of the road. The first phase of the ring road is from the Industrial Zone to King Salman Mosque, between which lays the Sina-Male’ Bridge connecting Male’ City to Hulhule’. 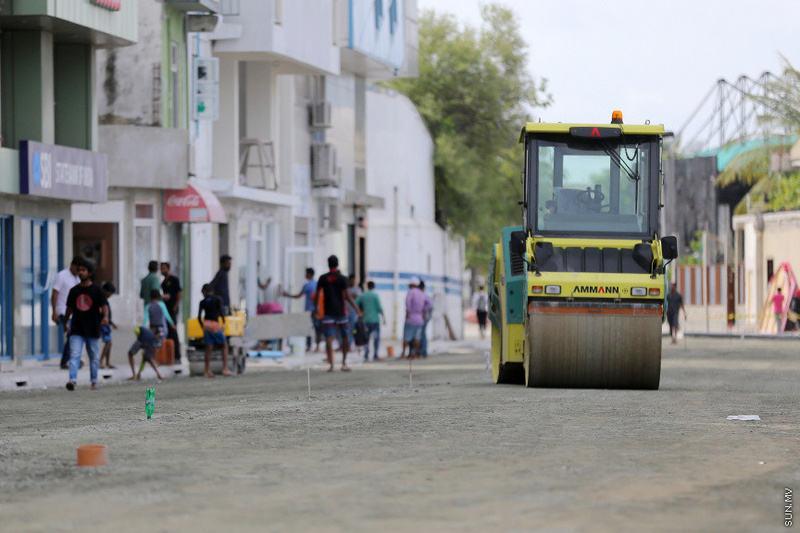 A highway has been developed at Hulhumale’, which is connected to Hulhule’ via land. The grand opening of the historic Sina-Male’ Bridge was held on August 31. And it is scheduled to be opened to the public on Friday, September 7. The USD 200 million Sina-Male’ Bridge Project was funded via non-reimbursable financial aid from the Chinese government, a low-interest loan from China’s Exim Bank and Maldivian State Budget.